Why we see things differently. Why we don’t like to be wrong. Why it is dangerous to question authority. Where we got the letter A. The morbidity of Puritan children’s books. How culture and community impact information. The origin of the political parties in America. How information is dangerous and can be used to disrupt or preserve a social order. There are many factors that can play into our biases—culture, gender, politics, religion—but a big one is just that our brains are different. They have different morphologies. And this goes all the way down the evolutionary ladder back to pre-history, back to pre-human, technically speaking. And all of it leads to why you scroll past a Facebook post you know you are going to disagree with. I believe X about the world, so I go looking for things that support my belief in X.
I am disgusted by Z and people who like Z, so whenever I see Z on the news, I turn the channel or scroll on past it in my feed. The first is called confirmation bias. We seek out and readily accept as true things that agree with us. The second is called disconfirmation bias. We avoid things we think are going to upset our predetermined views. We actively work in our minds to discredit disagreeable information as it happens. We do these things to avoid the awkward, unsettling feeling of cognitive dissonance, which is the uncomfortable feeling of holding two opposing things in our head at the same time. You believe something, and it is really important to you, and then suddenly you get evidence that this thing you loved is not what you thought it was, that person you respected is really a human garbage fire, or that idea you base your decisions on is wrong. And that feeling is really uncomfortable. You feel your stomach drop and your head spin. We all try to avoid that feeling. But why? What’s wrong with being wrong? Well, here we have to know a little about the brain. As organisms evolved over time their brains got bigger and bigger. The early animals that would eventually evolve into proto-humans started out with just a brain stem. But over time our primitive predecessors and ancestors ate better food and had more experiences and learned things, those brain stems added additioanal layers. The stuff at the base of your brain takes care of all the essential things like breathing and keeping your heart beating…the autonomous nervous system. The layers on top of that handle more abstract thinking: What happens if we put the seeds that came from the fruit back in the ground? How are we going to get that river over here to irrigate our crops? What does it all mean? Is there a God? But the thing is when we experience things that startle us, we get a fight or flight sensation, right? And that happens in the stimulus-response part of the brain. Because when someone pulls a gun on you, you don’t wonder how the trigger mechanism works exactly, you just run if you can. And cognitive dissonance enables that response. Imagine primitive man walking through the woods: everything is green, lush–branches, trees, bushes, birds, everything as it should be–and then out of the corner of his eye, a strange pattern of orange and white stripes. Run or Fight. When we see something that upsets things as they should be we make a very quick, irrational decision. And this evolved trait strengthened because the faster people made that decision the more likely they were to live and make babies who shared the same brain morphology. Genetics and evolution for the win! Unfortunately, what helped us survive as hominids and such did not really lend itself well to technology. We experience fight or flight when media disagrees with us. It is called oppositional media hostility. A behavioral scientist named Arthur Lupia reports about an experiment in which people were hooked up to electrodes and shown different images. The experiment found that archetypal conservatives and liberals look at the same picture and notice different things. Different parts of our brains light up. But when we feel threatened that little piece in the amygdala, down near the brain stem lights up. That’s fight or flight. When we watch a news station we disagree with the same part lights up. We experience disagreeable information as a threat! That’s kind of depressing because if all of us have a baked in component that we work really hard not to accept information we don’t like, there is little hope for all of us getting on board to take on big problems like global warming. We have about 25 years left before things get really, really bad. Maybe less. Enjoy it while it lasts. But also plant trees. 3) your brain went to this safe place where you remember reading something that said everything was going to be OK.
4) everything’s cool again you can proceed with your day. Anyway, so that is our flawed brain. The broken tool we have to work with. So we start off at a disadvantage if we ever aspire to being smart. But then it gets worse. Because how we consume information is just one part of the information landscape. The other parts are how people produce information and how people disseminate information. Things can go horribly wrong at any step of the way, and they often do. There are many reasons people may want to slant the truth to their advantage and an equal number of methods for spreading misinformation, disinformation, propaganda, and/or lies. This information landscape that we know today all had a very humble beginning so long ago it is almost impossible to imagine. About two million years ago our primitive ancestors started crafting very simple tools, like hand axes, and they began to start speaking, according to some paleontologists. But we don’t know that for sure because spoken language leaves no artifacts. In the immense span of time ranging from 2 million years ago to about 100,000 years ago people presumably communicated with grunts, screams, noises, hand gestures and shrugs. This system worked well enough for telling where lunch had been slain, how to build a fire, or whatever it might have been that early humans and our predecessors needed to communicate. But then paleoanthropologists note that people started drawing pictures on their cave walls around 40,000 years ago. This seems to pinpoint roughly the first time our ancestors figured out how to make a thought, feeling, or experience permanent. That’s the beginning of our relationship with written language. So that is as far back as we can go in understanding the early information landscape. But in the shapes and lines of those early cave drawings we can see the beginning of pictographic language. with the long pointed face and the two spikes on top its horns. Over time this picture came to represent the sound that the word started with, as languages made the shift from pictographic to phonemic. The ancient Phoenicians, who were nomadic merchants who traded with a lot of different nations and cultures are credited with writing a lot of these things down, borrowing words from different groups and sort of acting like bees pollinating flowers. The Greeks standardized the language, instituting that the characters all had to face the same direction on the page and move left to right. 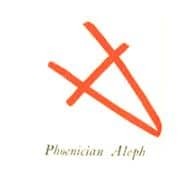 They turned the aleph upside down and named it alpha, and that is where we get A from. The move from pictographic to phonemic languages took centuries if not millennia, and led to us being able to communicate more complex ideas in written form so those ideas could be at least semi-permanent. The oldest writing we have on record came from ancient Mesopotamia and consists of markings in clay whose meanings are now unknown.The great thing about writing in clay and stone was that it was very durable, and 5000 years later people can try to figure out how much a sheep cost in ancient Iran. The not so great thing was that making those tablets was extremely labor intensive, heavy, and fragile. Thus, very few people had access to what was recorded. This seems merely academic, but a discussion of ancient communication brings to mind some interesting questions for today: questions about how our means of communication change alongside what we are trying to communicate and about how knowledge is not permanent if access to that knowledge is threatened. The ancient Greeks appear to have had a written alphabet between 1600 BC and 1200 BC, but then lost it for a few hundred years, only regaining it around 900 BC. There is no clear explanation of why they had writing and then lost it, but it seems safe to say that if cultures don’t protect their knowledge, they lose it, just like any other resource. Absent writing, stories were handed down by oral tradition from old to young and sometimes by traveling poets who were known by different names in different cultures: Aodoi, scops, and bards, for instance. They would travel town to town and recite epic poems for their livelihood, spreading culture, knowledge, and wisdom. In order to facilitate memory, they came up with conceits like repetition of rhythm and sounds…rhymes. But no one can really memorize a 10,000 line epic poem. Some scholars, suggest that the poems were not memorized, so much as they had a lot of stock lines and ideas that could be switched in and out as needed, depending on the audience. The stock lines were “traditional and formulaic, drawing on fixed phrases, lines, blocks of text, narrative patterns and themes” which could vary as the occasion demanded” (Pomeroy 52). They would transmit stories–usually accounts of history and war (of an heroic, legendary, and ultimately dubious nature)–which contained and carried the values of the culture. These stories in a sense became a sort of unifying element for the ancient Greeks, a way of asserting shared values and traditions. But it is also important to note that the poets could and likely would change the tale a bit here and there as the occasion demanded. To put it in the terms of the late 20th century, imagine a traveling poet who sings the praises of Tupac in LA but the praises of Biggie in New York. Because there must have been a financial/well-being component to their lives, the poets had to know that their treatment by those in power was dependent on saying the right things to the right people. There are a couple of important things to think about here. The first is that self-interest dominates how people present the story. The second is that the kinds of formulas and themes used by the ancient poets are evident in every culture, in every nation, and in every community. Part of what holds groups of people together is their shared belief in stories with certain kinds of formulas and certain kinds of themes. Those shared beliefs impact how people interpret the stories they hear and how they tell the stories they tell. This is part of what comprises culture. You hear it today in the stories in your community; you see it in stories on the news. Real people are caricatured, almost as stereotypes. A lot of nuance gets left out. And those nuances are what make real understanding possible. When people started writing things down with language, there must have been an overarching idea that it would preserve the truth. But it didn’t necessarily work out that way. By the time Alexander the Great founded Alexandria in Egypt around 330 BC, the Greeks had been writing (again) for approximately 500 years. Egypt had been making papyrus for 2500 years at that point, and though this was not the reason Greece invaded Egypt, it was a stroke of luck for the people in the future, because it made the preservation of their culture much easier. Around 330 BC, Alexander the Great conquered Egypt, which was located at the center of many important trade routes and had strategic value, fresh water, and fertile soil. And then he died. There was a bit of a power struggle in Greece, but the Ptolemies won. The Greek empire was going strong, and as with other cultures historically who have been at the height of their power, the Greeks had a lot of money and wanted both to preserve their culture and to spread it around to other places. That’s a good idea because it keeps you safe. In modern terms, once you’ve got another country eating your fast food and watching your tv shows, you don’t have to have a war with them. No one’s gotta die, let’s just watch America/UK/Turkey/China’s Got Talent, eat a Big Mac, and chill on the sofa. The muses’ feeding station (34). The people who own information or pay for its production may have a vested interest in the findings, and if they do, then they might control which parts of the facts are examined, how those facts are reported, and to whom. There is an apocryphal story about a poet who penned a poem suggesting that Ptolemy II had had an incestuous relationship with his sister and secreted it into the library’s collection thinking that eventually the truth would come out and be respected. When the author was found out, they didn’t quite give him a medal and thank him for being so brave and honest. He was weighted with rocks and tossed in the sea. And that brings us to censorship. There are three kinds: Government, corporate, and self. Government censorship is when the ruling body decides certain information is off limits, and so they suppress it. Think the USSR before glasnost. Reading their old textbooks, the story shifts over time as their government changed. Think China, which blocks a lot of the internet from its people. Think the Texas school board, who controls what goes into many of the textbooks used throughout America and who have time and again displayed political bias. But I think it can also be less structured than that…less obvious. Culture can tacitly enforce marginalized thinking through traditions and social mores. Culture is partly a creation of the state, a sort of manufactured identity that tells us what to think and what not to think, how to act, and so on. When politicians bring up our founding fathers or debate about what an historical event meant or means, they are constructing something called a public memory of our nation. Something to base tradition and culture on, a sort of system that suggests what we should think and do if we want to be good Americans. It is the same sort of thing as the traveling poets using stock phrases to appeal to the kingdom they happened to be visiting. Corporate censorship is when corporations enforce or sanction speech by spokespersons, employees, and business associates with a threat of monetary loss, loss of employment, or loss of access to the marketplace. This is kind of like when you’re eating the king’s food, you don’t spread the word that he’s got a thing with his sister. I would also suggest that this is something to worry about as multinational corporations own more and more of the news and other media that we watch and listen to. As of 2017 90% of US media are owned by 5 corporations. That’s a lot of conflicts of interest. Self-censorship is a little harder to pin down. That is like when we sort of force ourselves to think within certain margins set up by our culture. Or when we look at something like global warming that is so overwhelming we just shut down, can’t deal, and think about other stuff instead. It is the part of our own mind that kind of protects us from uncomfortable information. And all of these play into how information floats around and gets made and shared and understood and misunderstood and misrepresented and repackaged and ignored, and everything else. And that brings us to the printing press. So we are only like a few hundred years out now. Hand-copied books were the only thing available for many centuries until printers began using the technique of woodblock printing, which consisted of carving the words into wood blocks, covering them with ink, and pressing them to pages. This was a marked improvement over handwriting the books over and over again because once a book had been carved, as many prints of it as were desired could be made. his faster method of printing was either the reason that Europe began to emerge from the dark ages, or it was an incredibly lucky coincidence. More people had the requisite education to read and they were hungry for books. It is often suggested that the printing press led to the Renaissance because it put a great many books—of all different kinds—into the hands of the public. The proliferation of ideas led to a flourishing of the arts as well as the advancement of the sciences. Jaron Lanier (2011), took a different approach, offering in You Are Not a Gadget that, “Printing presses in themselves provide no guarantee of an enlightened outcome. People, not machines, made the Renaissance” (46). This important statement highlights the reciprocal nature of information and people. While it is true that more information was disseminated, it must have also been true that there were more people capable of reading it and affording access to it. Thus, the outcome of information is as much dependent on the reader being able to use it as it is the writer being able to put it before them. Also, consider that the more information we have, the more we learn, the more new information we create. Education and information have exponential impacts on one another. This is why technology grows faster than it used to. But one should keep in mind that what is printed is not necessarily to the benefit of all, and that some forces don’t want exponential growth of intelligence. The early printing press was especially useful to those already ensconced in power (O’Shaughnessy 1990), allowing for the more efficient spread of propaganda among the population. Posters, pamphlets, and woodcuts were all used at various times of change and unrest, or “whenever the sentiments of the masses became important to their rulers” (19). This is a model of information that might best be considered a top-down information system, that those who are already in power exert the majority of control over what is printed, who has access to it, and even to a certain extent, how it is interpreted by those who do have access. Thus, while it is true that the printing of a book allowed and allows for an efficient way of collecting and disseminating information, the quality of that information cannot be guaranteed by the consensus that created it, nor is it a certainty that the people who read it will be able to do anything meaningful with it. The next big development was that books started being printed in local languages. Most of the books to that point had been printed in Latin, which required a high degree of education to understand. It is fair to say that most books at that point were being written for clergymen or lawyers, who made up the majority of the classically literate. Part of motivation for the Protestant Reformation was that Martin Luther wanted people to be able to read the Bible in their native languages. Not all printing was meant to serve rulers and the culturally empowered. The proliferation of printing presses allowed for a breadth of opinion. Adults were given a broad choice of books to read, ranging from religion to romance and from philosophy to adventure. But a review of children’s books of the time shows that books were indeed used, if not to control people, then at least to mandate certain behaviors. The first children’s book ever printed for use outside of the school environment was in 1487. It was a French book with a title that translates to Table Manners. Because several copies of the book are still in existence it is presumed that it was a very popular book, though I would doubt it was very popular with the children forced to read it. Still, it served its purpose for the adult world: it taught children how to act, and it ultimately trained children how to be proper children within the context of that society. A bit later in America the Puritans had their say in children’s books, as well. One particular title evokes a chuckle: A Token for Children: being an Exact Account of the Conversion, Holy and Exemplary Lives, and Joyful Deaths of several young Children. To which now is added. Prayers and graces, fitted for the use of Little Children (Sutherland 44). This book was a precise reflection of the values of that culture, and that goes to a larger point: because there was great expense involved in printing a book, books that took a popular slant on the world were much more likely to be printed than those that didn’t. This is still true today, although to a lesser extent. Things moved along slowly but surely for the next 300 years or so, when people developed the technology for mechanical presses. Eventually printers reached the point in the 1860s that they could print thousands of pages an hour, which opened the door to mass production in a way that had scarcely been dreamed of in the past. This access led to more people, regardless of wealth or social prestige, having access to printing. This model of information might best be referred to as bottom-up information system, in which many people, not of the ruling class or social system, have access to disseminating their information. Though it does guarantee the ability to put something in print, this ability doesn’t guarantee a market for the material, a store that will sell it, or money enough to compete with advertising budgets of major publishers. But in theory such a model would lead to greater freedom for the written word. Remarkably, economist Amartya Sen found that in world history there has never been a famine in a country with a free press and democratic system of government (qtd. in Sunstein 97). The idea is that famines are not caused by a scarcity of food, but by the misallocation of resources. That is, there is almost always some way for people to eat IF their rulers are motivated to ensure that it happens. This could theoretically mean providing training or education or it could mean taking food from one region and giving it to another one. But that won’t happen unless there is 1) a free press to tell people what is really happening and 2) a free election that will let people respond to what has happened. Without both, there is little incentive for rulers to care. In this way people understand the value of a free press on both theoretical and practical levels. But the free press is not always as neat in practice as it is in theory. The first newspapers in America were started by wealthy people who wanted to control the direction of the country and to make money by selling stories and ads. You’ll recall that there are archetypal conservatives and archetypal liberals. There were newspapers for both types of people, and there is more than a little truth to the idea that our two main political parties were basically the owners of our first newspapers. Each paper had a specific bias, and you knew where to get your news and your idiot neighbor knew where to get his. And they were all fighting to influence the debate in the public sphere. The public sphere is all the discussion that happens in public a culture or country. All the stuff that is not a state, corporate, or personal secret. It is what we talk about in class, on the train, with our friends, around the water cooler, on Instagram. It is all the public discussion of a society, from whom to elect to what’s trendy and what is so lame that no one even cares about it anymore. The public sphere is the space where people exchange ideas generally about their concerns, their wants, and their needs. It is the theoretical space that constitutes the so-called will of the people, public opinion, and so on. It is neither a formal body nor an actual place, rather, it is a way of talking about a highly nebulous and theoretical concept. Otis Gray used the LA Times to booster the newly formed city, to pump up his land values, and to quash liberalism when it reared its ugly head. Robert Abbott and the Chicago Defender promoted the northern migration of blacks and took an unvarnished look at racism. The US government has used news media to push propaganda about war. During the Civil War reporters were embedded with troops to send battle reports back to their hometown newspapers using the newly invented telegraph. Local news sold papers! Which in turn sold ads! Which made more papers! To sell more ads! William Irwin used a newspaper to criticize newspapers for thinking that selling ads and making money were more important than presenting objective truth. It’s easy to see how powerful interests use information to control and preserve a social order. Also easy to see how the right people with a megaphone for their information can bring about great change. Ida B Wells and Robert Abbott helped lead to the Civil Rights Movement. Using news media for social justice is one side in the fight for control of the public sphere. It is what people call the social responsibility theory of journalism, and that is the function I (naively perhaps) think is most useful. At the same time, advertisers and the industries they represent naturally had and continue to have an impact on the content and opinion expressed in the news. This could lead to a kind of corporate censorship, and many maintain that it actually has. The fairness doctrine of the United States Federal Communications Commission (FCC), introduced in 1949, was a policy that required the holders of broadcast licenses both to present controversial issues of public importance and to do so in a manner that was—in the FCC’s view—honest, equitable, and balanced. Reagan’s FCC did away with that standards in 1987. The Society of Professional Journalists adheres to a body of ethics that enshrine ideals such as fairness, accuracy, civility, and objectivity, and that encourages a watchdog function for the sake of the public trust. Objectivity refers to the condition of being fair, disinterested, unbiased, factual, and non-partisan. Disinterested doesn’t mean that one doesn’t care, rather that one is more interested in the facts and objective truth than in taking sides. Non-partisan means one doesn’t have a vested interest in a political party or political ideology that could taint his presentation of the facts. Unbiased means that one does not show prejudice against one side or the other. Thus, a lot is packed into the idea of objectivity. The government used to be more protective of free speech. Early cases about the first amendment were there to protect people’s rights …free expression cases involved anarchists, pamphleteers, and other dissident individuals or fringe groups without wealth and power.” More people from all sociopolitical strata were getting their messages out in a Bottom-up fashion. Increasingly first amendment legislation has tended to favor powerful parties as government and publishers seek to clamp down on expression and information. Isn’t it interesting that Apple owns the music you paid for to listen to on your phone? Over the decades, newspapers and mass media were used to prop up either the government, industry and commerce, the rights of the downtrodden, or just to get rich….or some combination of one or more at any given time. Newspapers appear to be useful both in top-down and bottom-up scenarios, either helping the powerful or the powerless, depending. The internet is the best example of a true Bottom up information system. Theoretically, anyone can get on the internet and find an audience. It’s odd. Sometimes government is bad for information, and sometimes it is good for information. Government and the free market are, like information, tools that can be used for good or bad, for the benefit of the masses or the benefit of the few. One thing for certain about the internet is that it is cutting into the revenues that newspapers once thrived on. Craigslist is better for the personal and help wanted ads that newspapers used to sell. Google is better at targeting advertising to individuals than the Chicago Tribune. As newspaper revenues shrink that limits how much real reporting they can do. Investigative and world coverage are only found in a handful of major newspapers now and much of the news of local government is missing from small-town dailies. And the people who are really driving internet traffic now are not necessarily the people who live and die by a code of professional journalistic ethics. So the internet is fantastic at spreading propaganda through blogs and social media. People have a definite desire to cocoon themselves in information that supports their biases. This is cultural, political, even biological. So the more objective fare of newspapers has always been less attractive to most viewers and all advertisers. People still like to surround themselves with familiar narratives, and as in the ancient days of traveling poets, there is a financial stake in what is said and how it is said. People in power still try to exert top-down control, as in the early printing press and the library at Alexandria. And all of this, unfortunately, plays into the cognitive biases in our brains that once helped us survive. So we have come full circle. Hopefully this introduction to the course has made you interested in learning more. In each module you will find a deeper dive into all of the ideas introduced above. Also, check the Materials Module for articles related to any topic you find interesting. Everything in this lecture was found in one or another source listed in my annotated bibliography.